So I went the whole weekend plus a day or two eating vegetarian! I am pretty proud of myself even if that sounds lame-o, but today when I was thinking of a dinner plan, I could tell I was about to run out of ideas on what to cook and still get the proper nutrients. 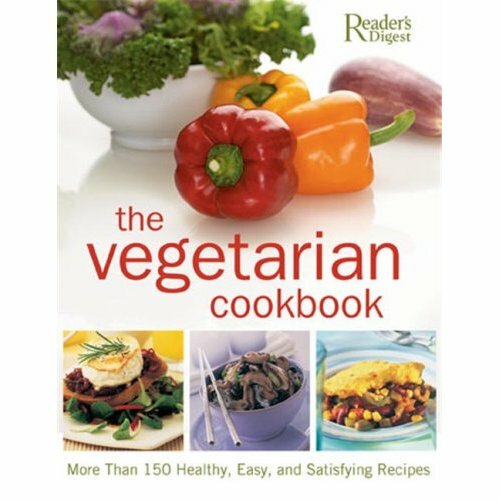 One blogger recommended How It All Vegan as an excellent resource for vegetarian and vegan recipes. Unfortunately, it wasn't in at my local library, but I have it on reserve. In the meantime, I picked up a few vegetarian cook books off the shelf. I've just started skimming them and The Vegetarian Cookbook has so many tasty recipes, I don't think I will ever have any problems being vegetarian.